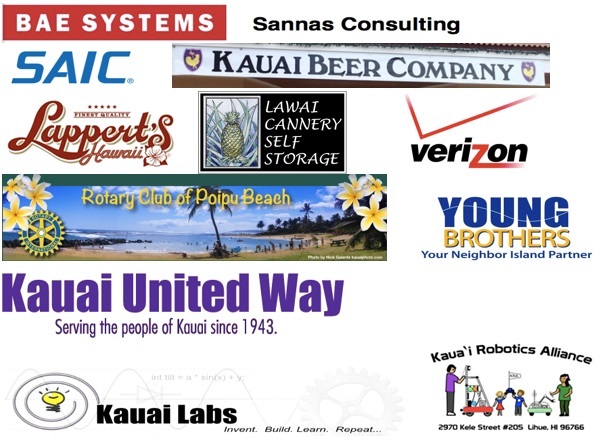 The Kaua’ibots thank our many supporters who help make a difference in for our team. The funds and materials our sponsors donate make it possible for our team to purchase materials to build our robot and travel to Honolulu to participate in the Hawai’i regional competition. Below is a list of sponsors who regularly support our team.